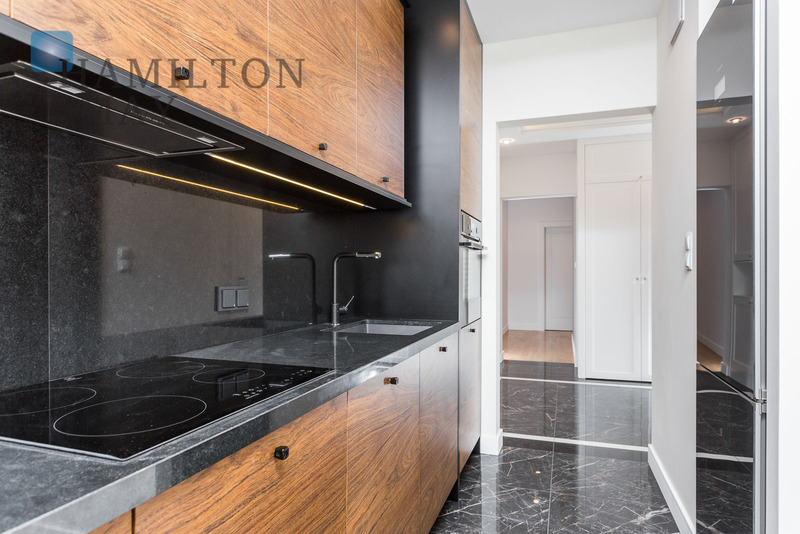 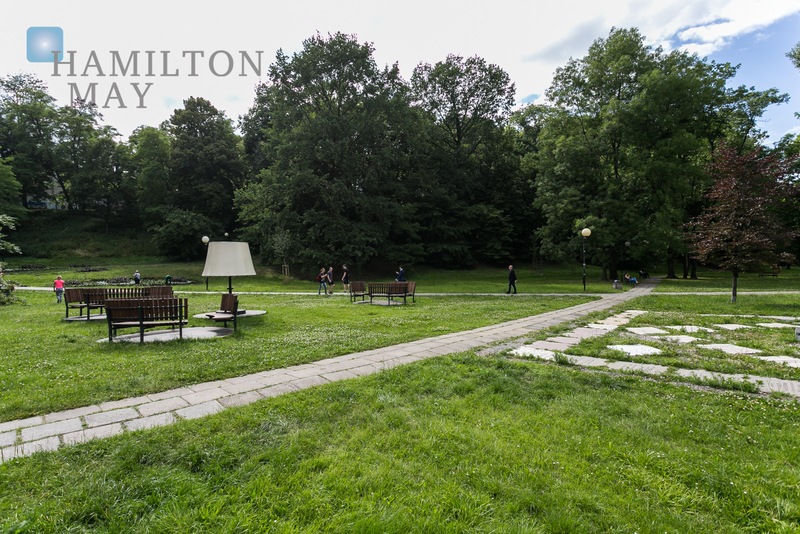 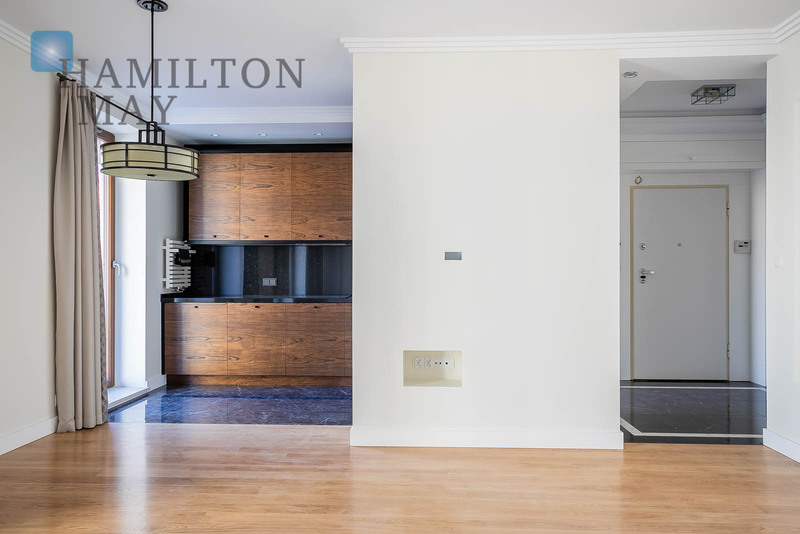 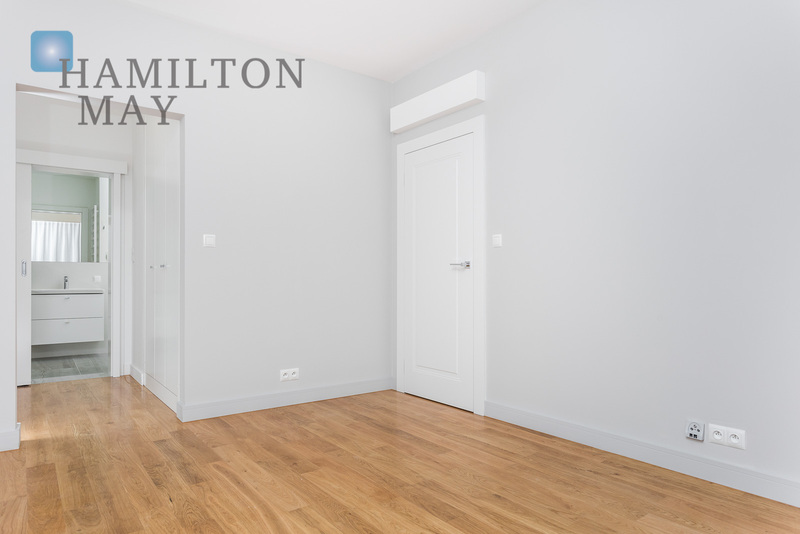 Hamilton May presents a modern and exclusive apartment in a discreet building in Powiśle. 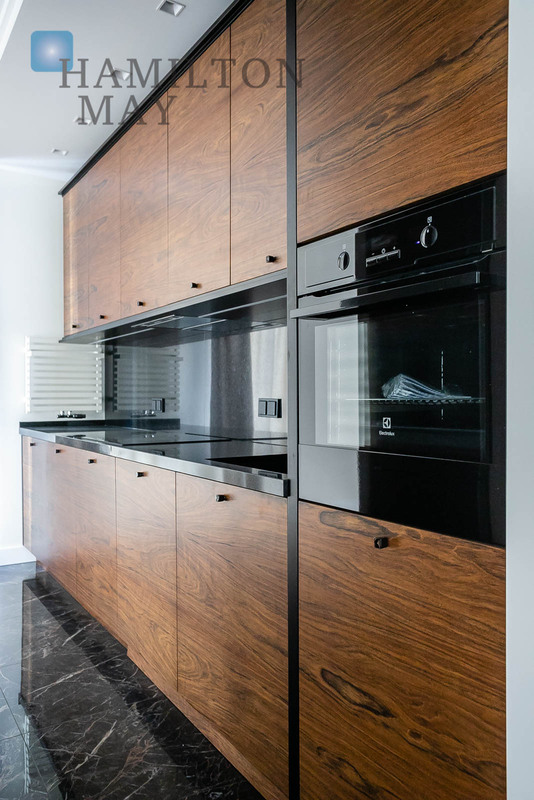 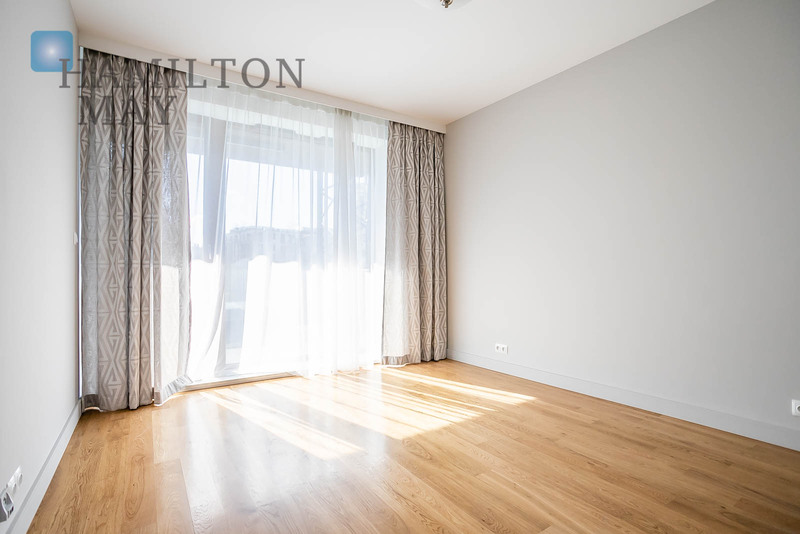 The apartment has 97m2, it has been finished to a very high standard. 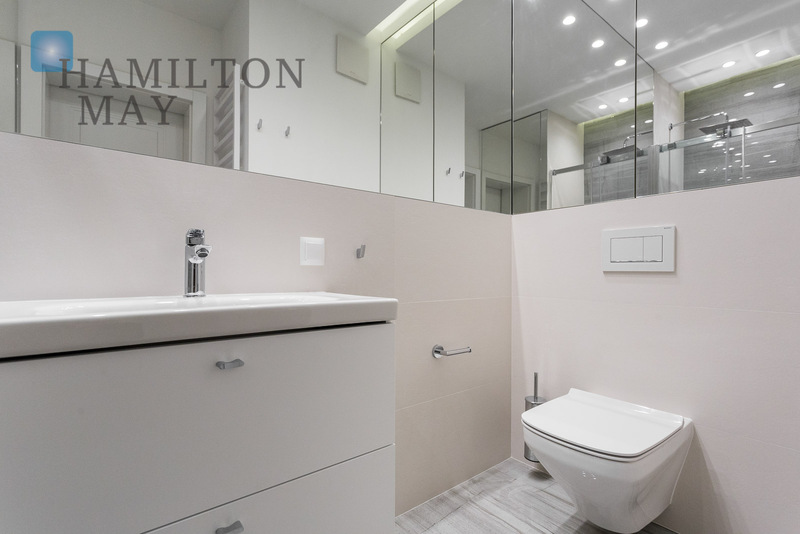 It consists of a living room combined with a dining area and open kitchen, master bedroom with en suit and walk in closet, a guest bedroom, bathroom with a bathtub, guest toilet and two terraces. 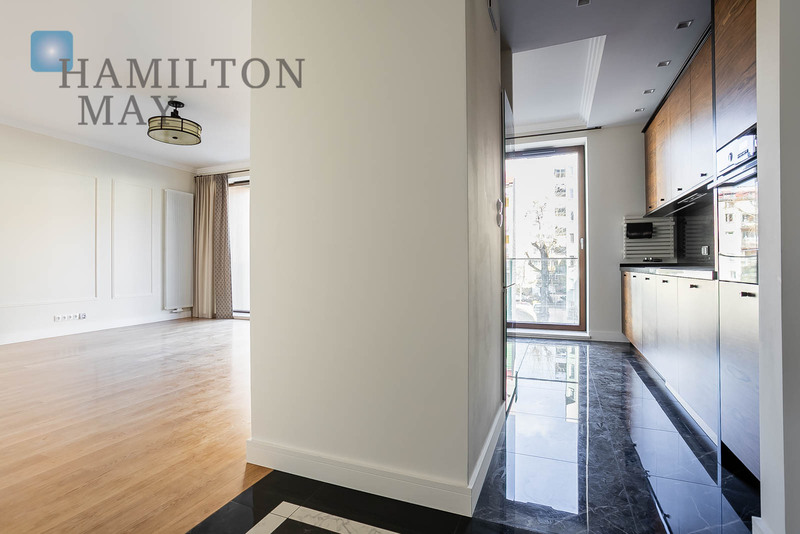 The property is stylishly arranged and ready to move in. 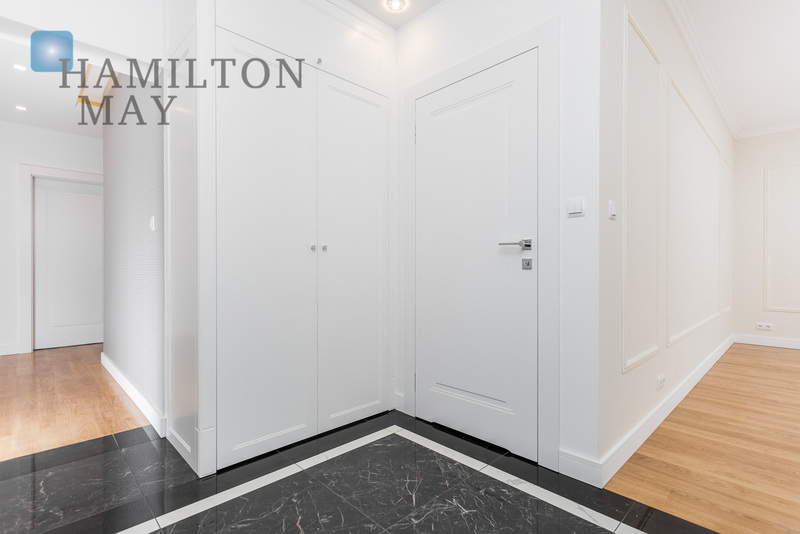 One parking space in the underground garage belongs to the apartment. 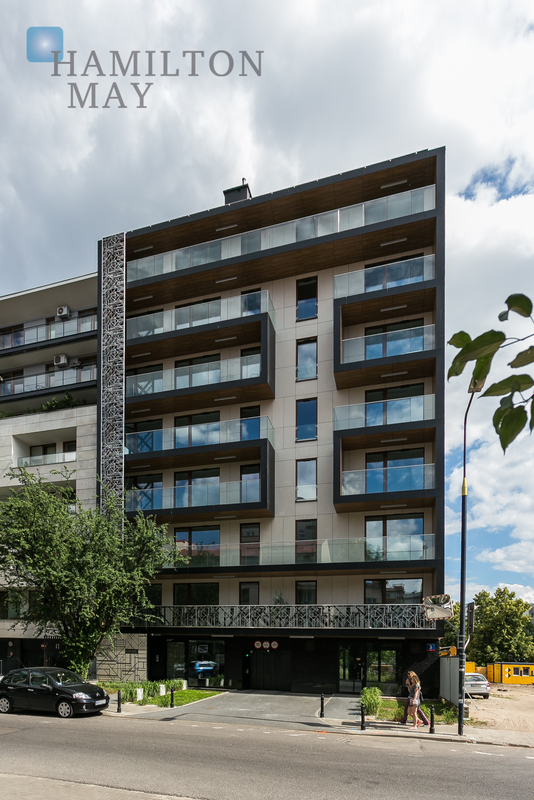 This discreet residential building was developed with the highest quality materials. 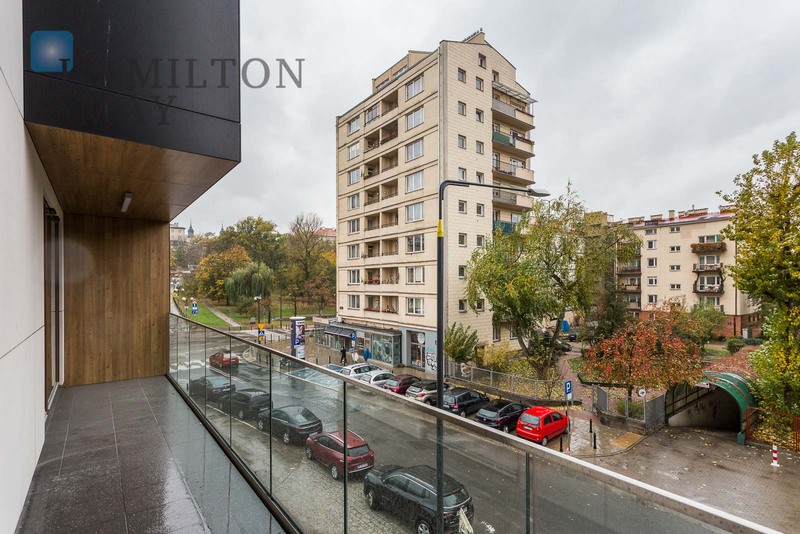 The project is based upon the best examples of urban modernism. 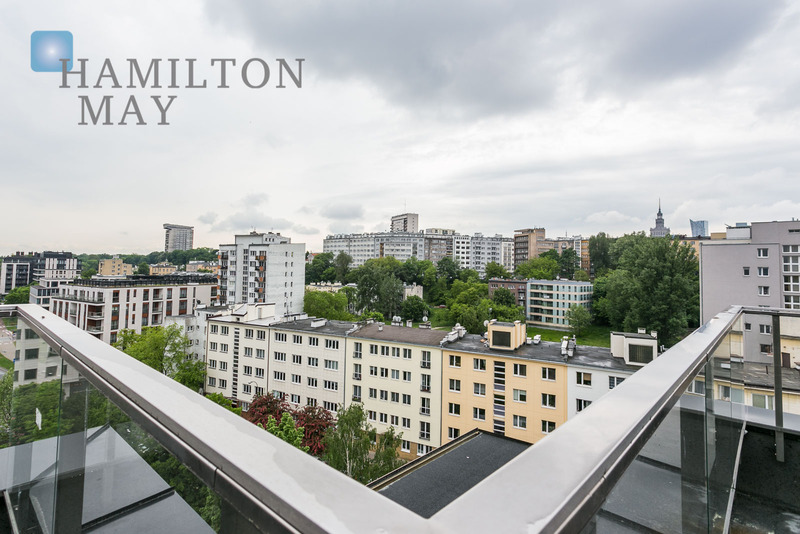 The development comes with a representative staircase, beautiful facade, and offers unparalleled intimacy (holding only 17 apartments - two on each floor), along with a common area located on the top eighth floor and on the rooftop garden. 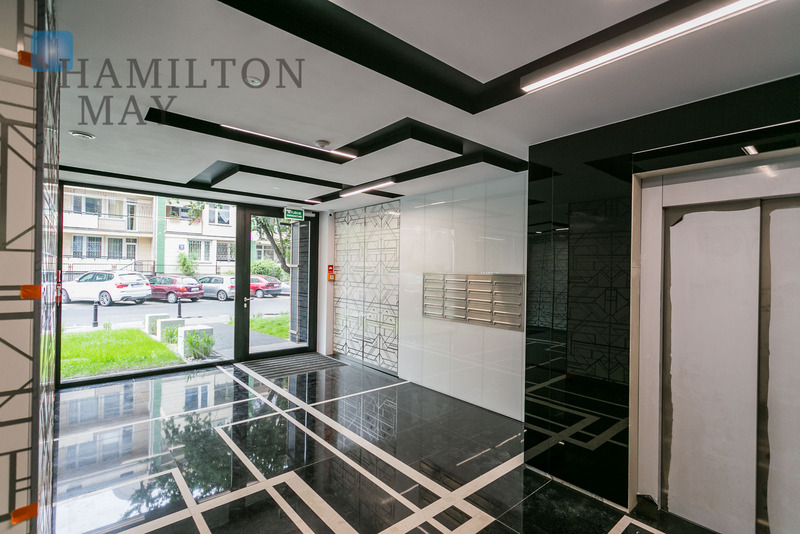 Additionally, the building's superb location makes it truly unique and very attractive, even for the most demanding customers. 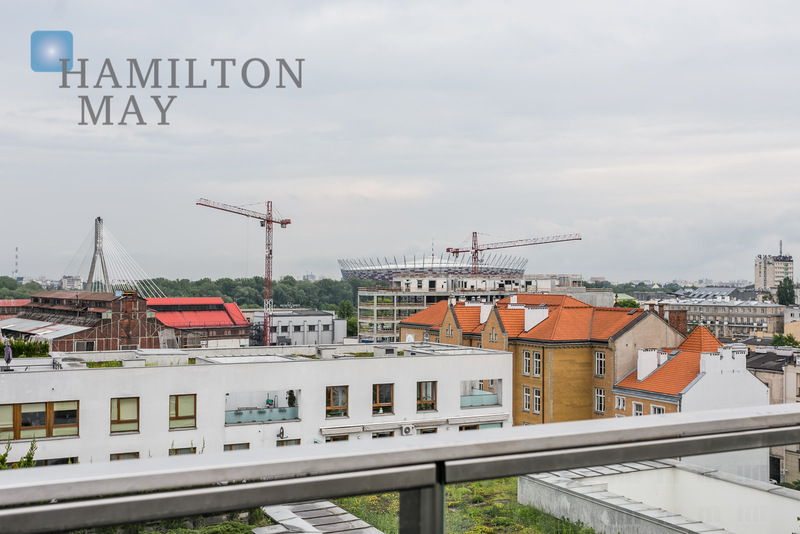 The building's location provides easy access to some of the city's biggest attractions - the Old Town, Nowy Świat, the Royal Route, and the Vistula Boulevards. 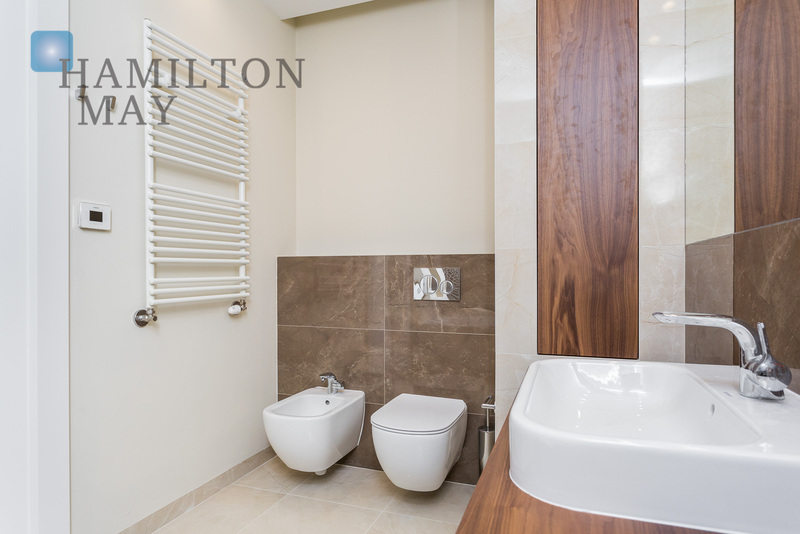 At the same time, the development's resident may enjoy all comforts of life on a quiet street. 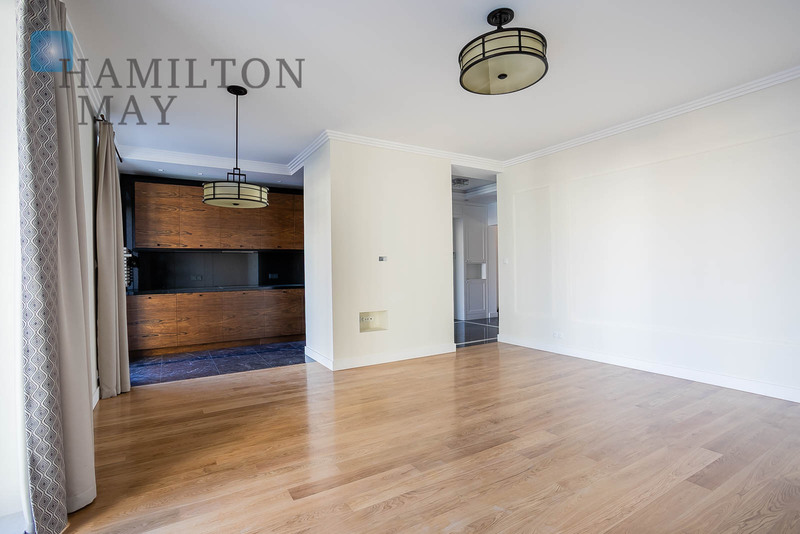 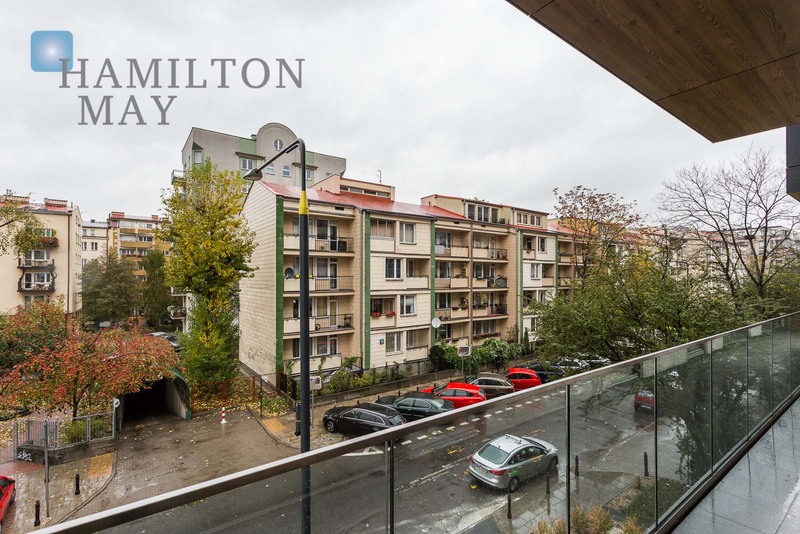 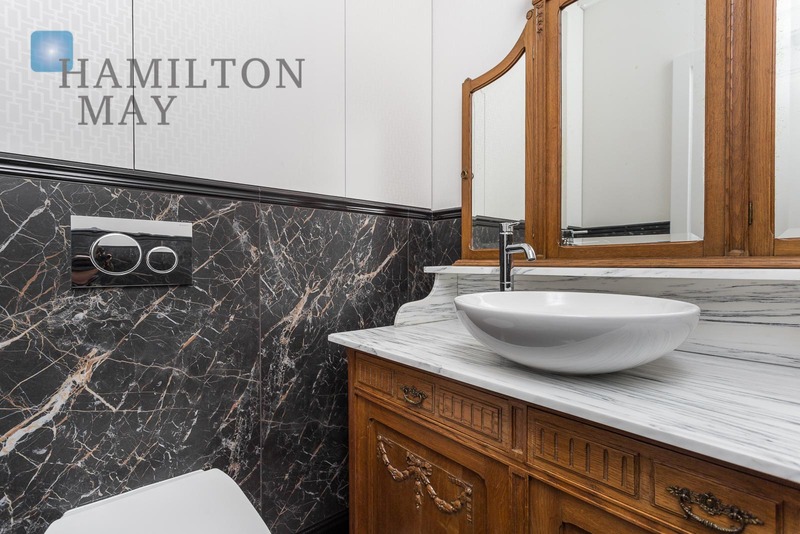 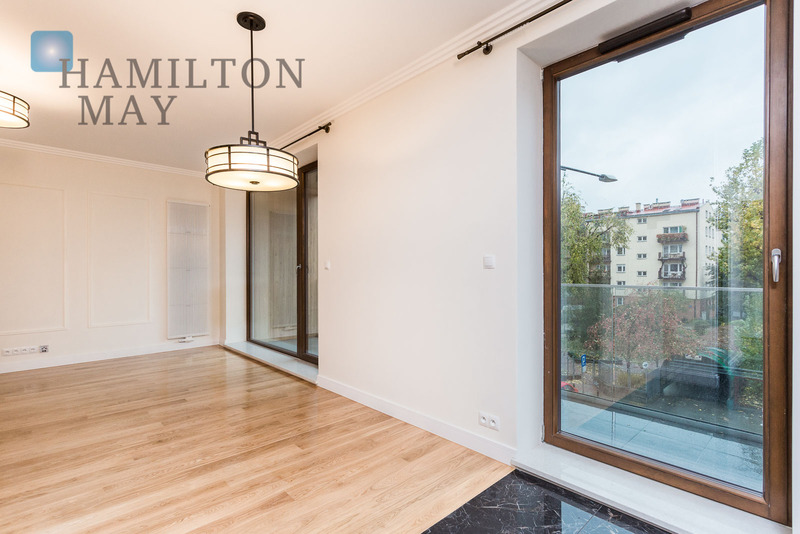 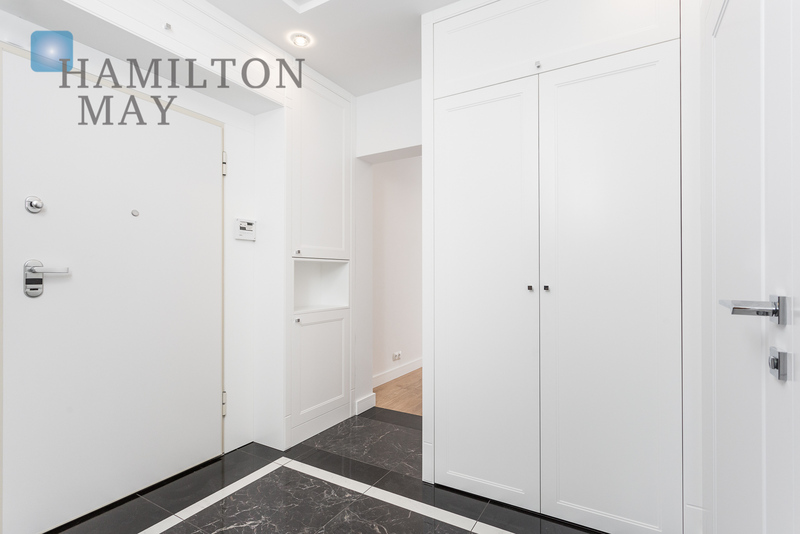 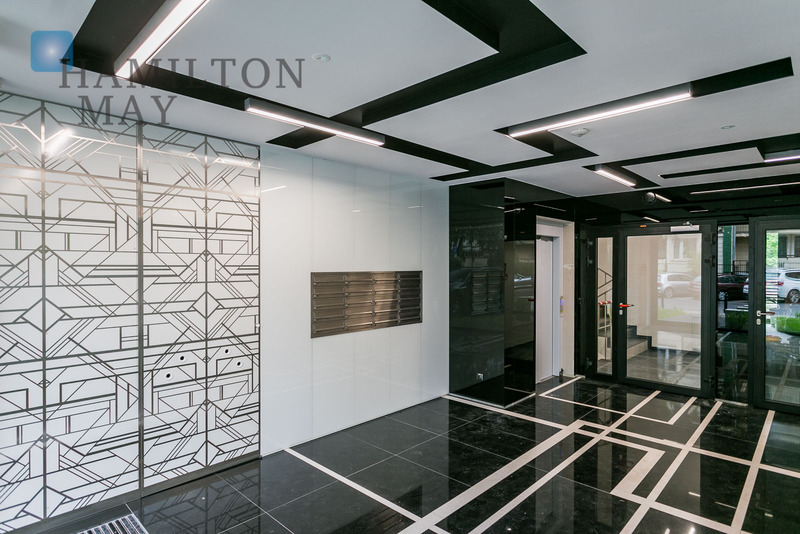 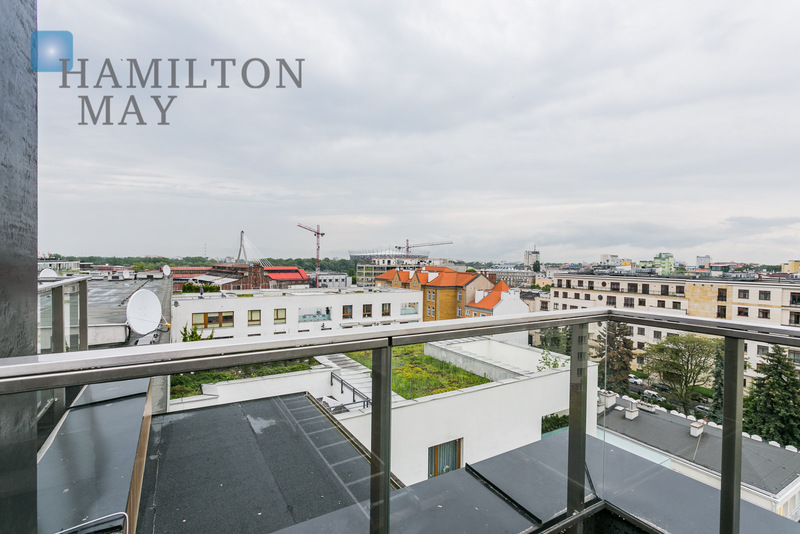 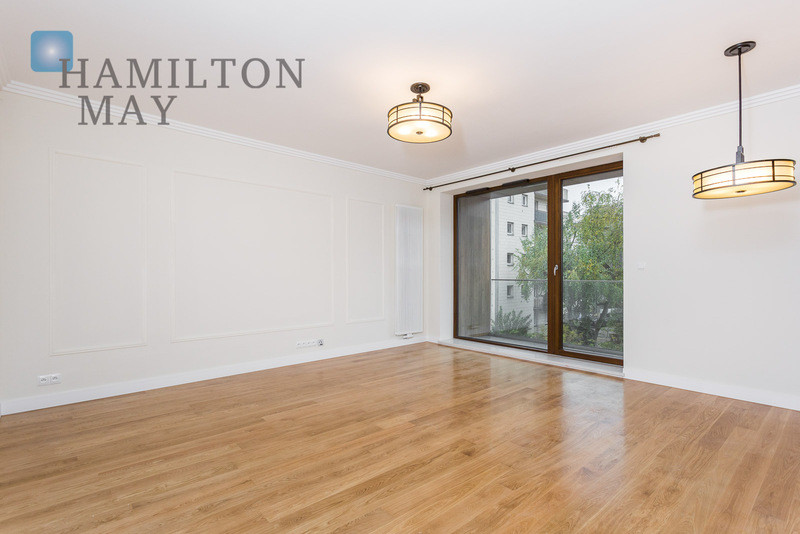 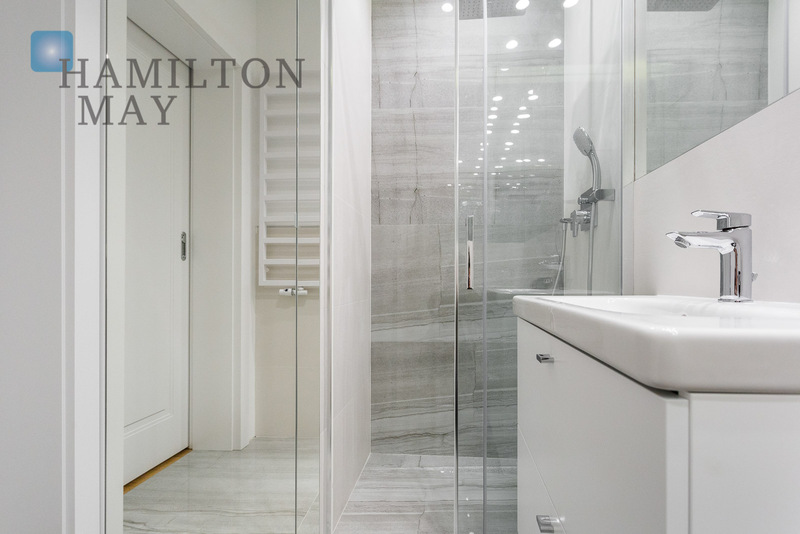 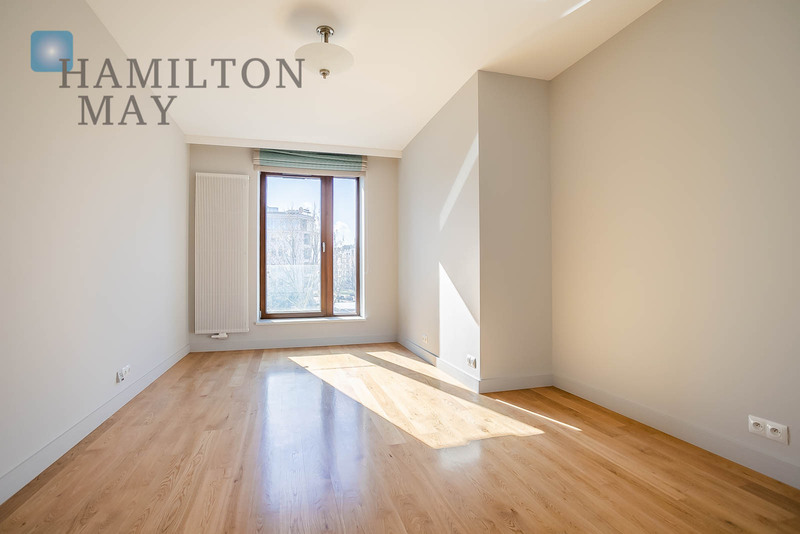 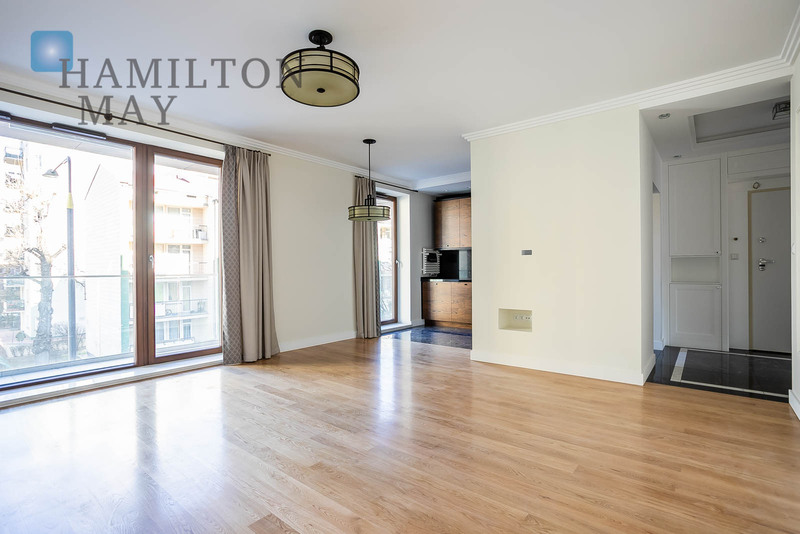 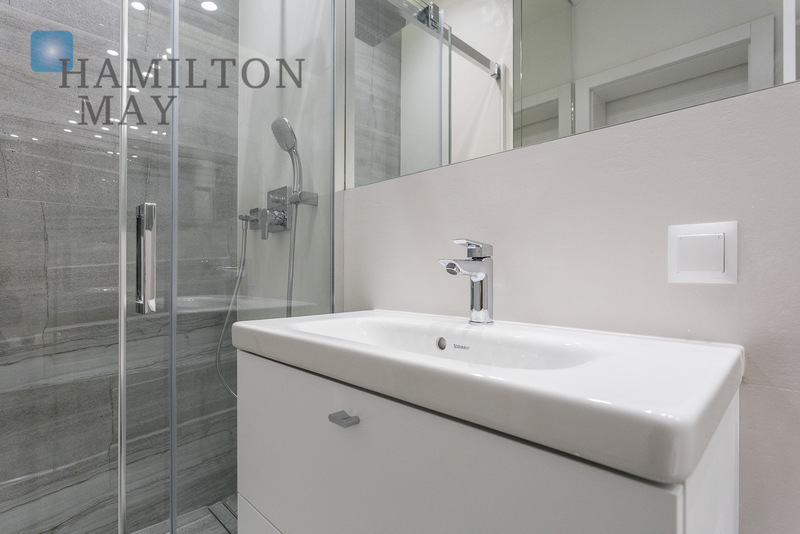 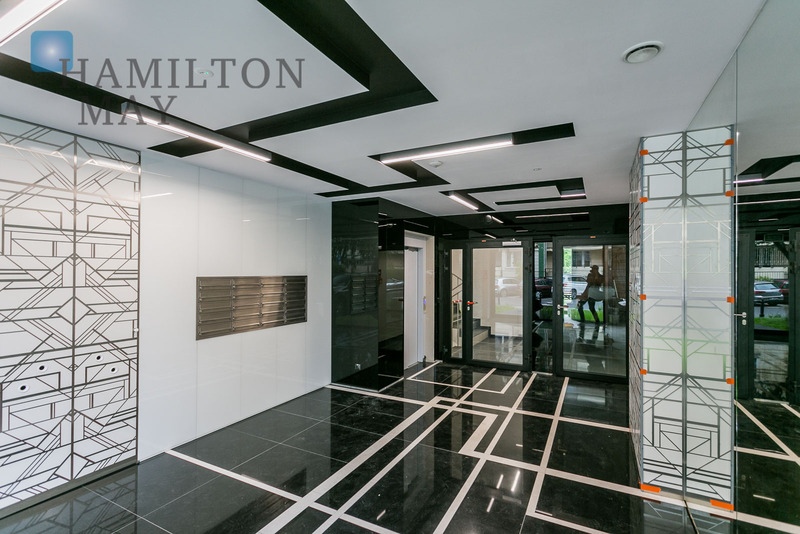 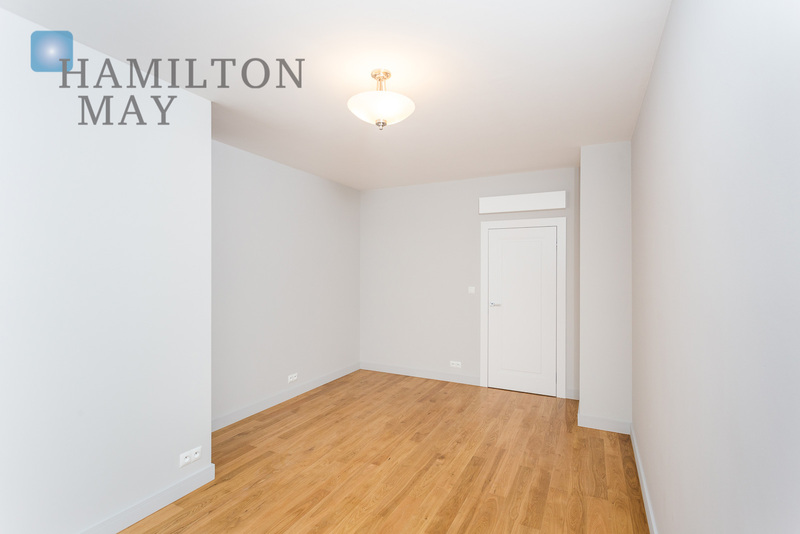 We invite you to contact Hamilton May to arrange a viewing of this property.